Preheat oven to 350. Lightly grease a muffin tin. In a large bowl, beat together sugar and egg until light in colour. In a small bowl, whisk together flour, baking powder, salt and nutmeg. Pour into egg mixture and stir to combine. Pour in vegetable oil, milk and vanilla extract. Bake for 15-18 minutes, until a tester inserted into the centre comes out clean. While muffins are baking, melt butter and pour remaining sugar into a small bowl. 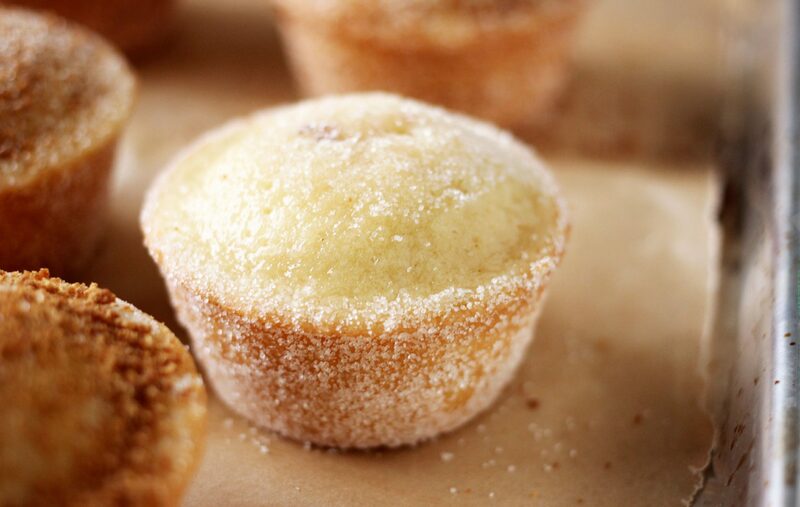 When muffins are done, lightly brush the top of each with some melted butter, remove from the pan and roll in sugar.